Paying bills is rarely fun or easy, but if you know where to look, it can be done for free. Paying electronically makes the task of paying bills easier and helps prevent mistakes. It also eliminates the need to pay for postages. 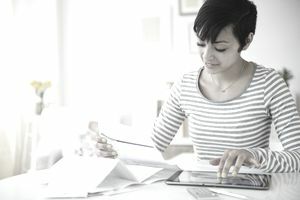 Since no one wants to pay extra to manage their bills online, however, below is a guide on several ways to pay bills for free. The best option for free bill pay is probably your bank. If you have a checking account, it’s likely that your bank offers online bill pay. You can set up a list of payees and have your bank send checks (or electronic payments), and those payments can go out automatically or only when you request them. Using your bank is a great way to start paying online while keeping control over the process. If you need to stop paying or pay from a different account, all you need to do is log in to your bank account and make the necessary changes. The steps to set up online bill payment services are usually very simple. Paying from your bank means that your bank initiates the transaction. But that's not the only way. Sometimes it's easier to have your payee (whoever you're sending money to) just pull funds from your bank account. This is especially the case if the amount you pay changes every month. Most service providers (i.e. mortgage, insurance, and utility companies) let you pay your bill for free by setting up ACH payments. With that approach, the service provider pulls money from your bank account each time a payment is due (with no involvement on your part). To set this up, you provide bank information to them and give them permission to take the money as needed. Overall, ACH debit takes less work each month by giving service providers direct access to your bank account. They may accidentally take too much, or they may pull funds at a bad time — when your account is temporarily empty — resulting in overdraft charges. Make sure you have plenty of extra cash on hand or overdraft protection if you use this option. If your finances are too unstable to guarantee that sufficient funds will be in your account at the same time each month to pay a bill, ACH debit likely isn't for you. Several personal finance software providers offer free bill pay, but they usually aren't really "free." You may need a premium subscription, or you may only get free bill pay for a limited time. MyCheckFree is a truly free bill pay service allowing you to pay eBills to selected service providers. While the service allows you to make payments to hundreds of businesses, each company you do business with may not be contracted with MyCheckFree. This means you'll have to come up with alternative arrangements to pay these companies. PayPal Payment Cards: Which is Best? Which Banks Help You Avoid Overdraft Charges?